Why do you use Twitter? 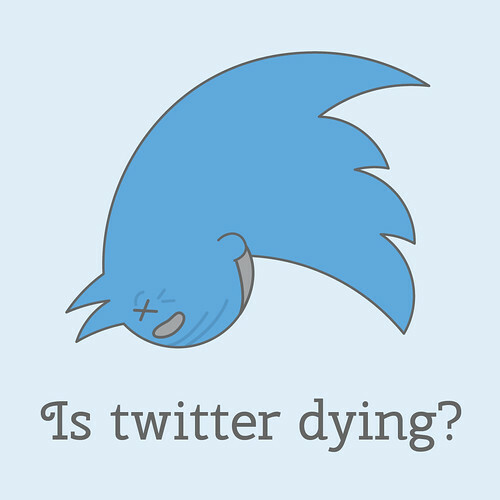 Are you tired of Twitter? It all comes down to intent. Why are you on Twitter? If you are on Twitter to read interesting tweets, then chances are, you’ll be making interesting tweets. And you’ll follow people who make interesting tweets. You just need to find the right people to follow to get those interesting tweets, and to have interesting engagement. The Atlantic article has some great insights–specifically about how if you don’t have that interesting circle of friends on Twitter, there’s always this feeling that there are those interesting people out there…somewhere. Twitter holds out this promise that there are more people to connect with. The real motivation here is people. People to connect with. Not people to broadcast to. The danger lies when we want to use Twitter as a broadcast medium. Users are so hungry to connect with more people, that they treat the platform as a broadcast channel. Twitter is so not a broadcast channel. If you use it to broadcast, you’ll never get the response you desire. If you broadcast on Twitter, you’ll find lots of silence. Everyone should really have just about 100 people they are following. That’s the reality. But those numbers are soooo tempting. You have to follow people to get people to follow you back! You have to play the game to find those people who you might just connect with. The game! I play that game too. I follow people in the hopes of maybe there being a connection. Someone who would find my tweets interesting. But the reality is that out of 780 people I follow with @mattmaldre, I have two lists of 257 people whose tweets I actually read. Such is the game of Twitter. Of those 257 people, one list is 103 people who I know in real life. The other 154 people are those who I find interesting and don’t broadcast. They engage. And that’s what I care about on Twitter. If you find that you aren’t on either of these Twitter lists that I read, simply send me an at-reply to any of my @mattmaldre or @spudart tweets. Your at-reply can be about anything. Whenever someone demonstrates that they read my tweets, chances are, you’ll get put onto the “cool” list of 154 people. I’m sorry but if you fit into any of these criteria, you are a broadcast tweeter. Find out what type of tweeter you are at twtrland.com.